Salespeople are the lifeblood of your business. If your salespeople don’t bring on new business, your company dies. This is a hard truth of business. However, if you hire and develop skilled salespeople and provide them with the right tools you can thrive. One tool that shouldn’t be overlooked is knowledge. Fortunately, you’re not starting from ground zero and there is a wealth of data and information you can pull from what others have done to be successful in sales. Empowering your sales team with this data will help them be more effective, and in turn, help your business succeed. For example, if your salespeople knew that customers are four times more likely to buy from your brand when they are referred by a friend, they would know to invest time in building referral channels. GetCRM has put together a graphic that visualizes important statistics like this. 80% of sales require at least five follow up calls. The optimal voice message is between 8 and 14 seconds. 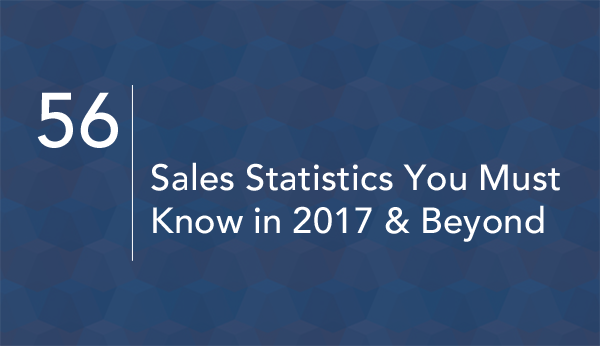 Check out the infographic below to learn more about these important sales statistics, and leverage that knowledge for your own teams.